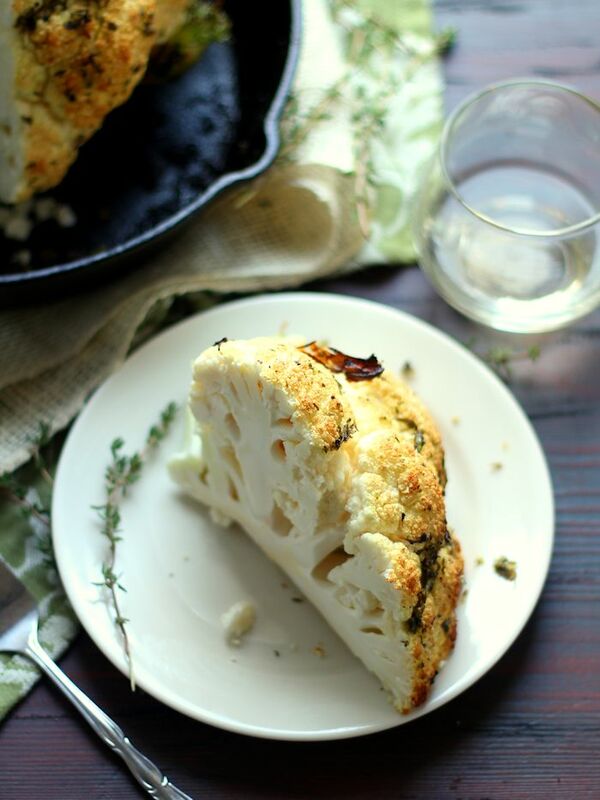 This whole roasted cauliflower is slathered in a mixture of lemony garlic and herbs and baked up until tender crisp on the inside, and lightly browned on the outside. Serve it up as an impressive vegan centerpiece at this year’s holiday celebration. You guys, does it feel like December? I don’t know what the deal is, but I’m not feeling it. I don’t want to say I’m not in the holiday spirit or anything, it’s just that, somehow, my head is still back in some time around July…ish. Maybe it’s because it was warm enough to sleep with the windows open the other night, which was weird. Maybe it’s because the rest of my neighborhood is confused too, because I’ve yet to see a single Christmas light, and usually these guys are on it when it comes to that stuff. This recipe is a holiday recipe. How sweet, I made you a Christmas cauliflower. See, that feels weird! I told you, I’m just off this year. Anyhow, it really matters not how festive this thing makes you feel. It’s super fun and delicious, and that’s what the holidays are really all about if you ask me. From what I gather, the idea of a cauliflower roast was invented (and not by me, I might add) as a main course, and you can totally serve it as a main if you’d like. I really think it’s a super fancy side though, and that’s how we ate this in my house. See, on the one hand, it is a big old roast, with the size and presence of a conventional, non-vegan holiday roast. It’s even roast-esque to eat. Use a sharp knife, as a butter knife won’t quite do the job (as my husband was forced to admit after his sending his third hunk of cauliflower flying across the room). On the other hand, it’s definitely on the light side as main courses go. Do whatever you want with it. Either way it will probably elicit quite a bit of oohing and ahhing. 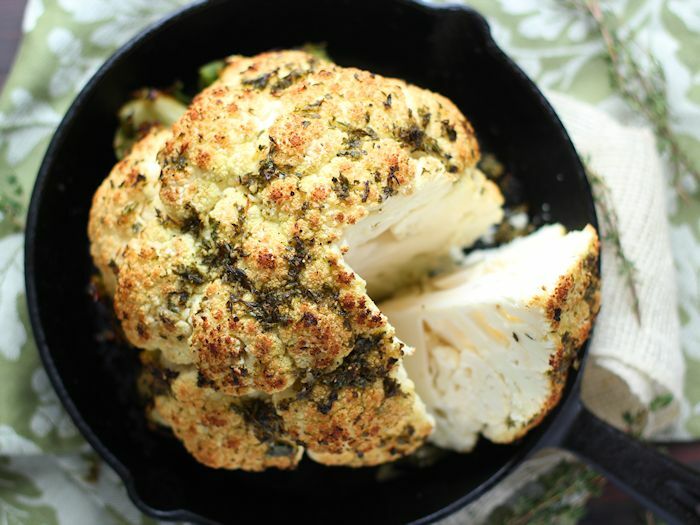 This whole roasted cauliflower is slathered in a mixture of lemony garlic and herbs and baked up until tender crisp on the inside, and lightly browned on the outside. 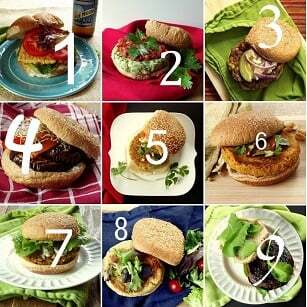 Serve it up as an impressive vegan centerpiece at this year's holiday celebration. In a small bowl, stir together parsley, thyme, garlic, olive oil, lemon juice, pepper and salt. Taste test and adjust as needed. Using a large knife, cut the stem from the bottom of the cauliflower crown, taking a bit off the bottom of the crown if needed, to get a nice flat surface so the crown can sit upright. 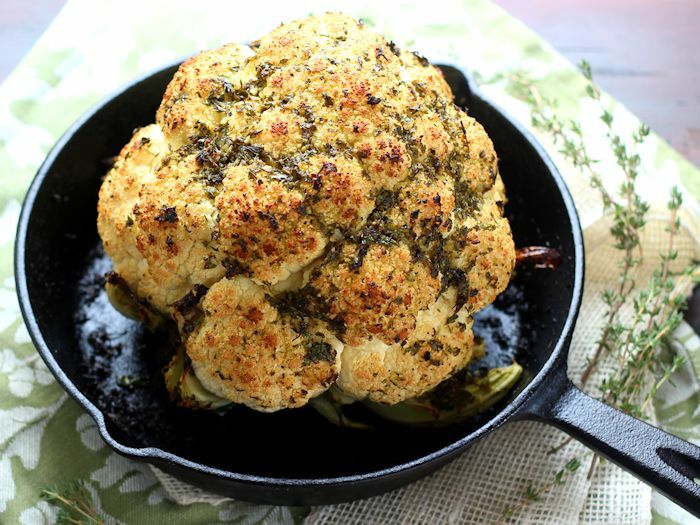 Place cauliflower crown, cut side down, in a large baking dish or oven-safe skillet. Slather the top with olive oil mixture. Place on middle oven rack, making sure you've got at least an inch or two between the top of our cauliflower crown and the top of the oven. Bake until fork tender and browned on top, with a few charred spots, about 50-55 minutes. Optional: Double the herb and olive oil mixture and save half of it as a dipping sauce for serving. This recipe results in a tender-crisp roast. If you prefer softer cauliflower, try lowering the oven temperature a bit and cooking a few minutes longer. This is a delicious, garlicky take on the popular cumin-spiced roast cauliflower recipes out there! I can hardly wait to give this a go! Would you believe that the grocery store by me has been having a problem trying to get cauliflower in? It’s the only thing stopping me from making this recipe. I don’t think that I trust myself to make this. I’d probably eat the whole thing in one go!!! Looking to try this as a vegetarian main option/meat dish side option at a holiday gathering. I’d need to cook eat with the roast, which cooks at 325F. Any idea how long this would need in the oven at that temp? I’m afraid I’m not sure! That’s a big temperature difference, so I’m thinking it will take a while. Maybe 1 hour and 15 minutes, but that’s just a guess.